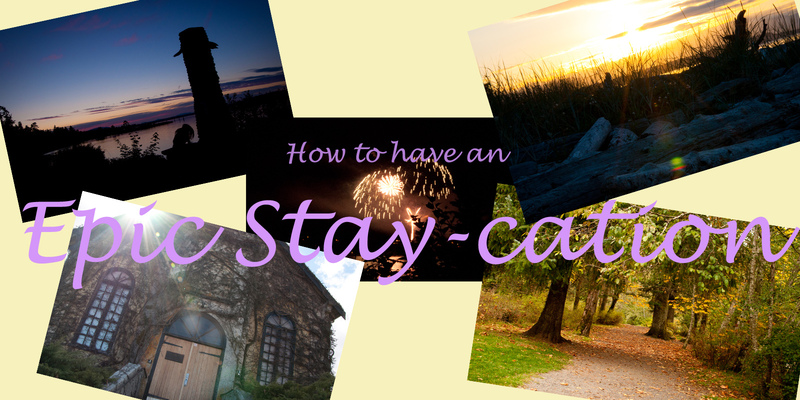 I arrive home from my yearly Hornby vacation this week and I though now would be a good time to give you lots of ideas and tips on having an amazing stay-cation. You don’t have to hop on a plane and jet off to some remote beach destination or foreign city to have an epic vacation. We live in the Comox Valley on Vancouver Island-we live in a sought out vacation haven for the rest of the world, why not see what all the fuss is about?! OK, on to operation Epic Comox Valley Stay-cation! 1) Treat this exactly like you would any other vacation, seriously. 3) choose the things you like to do: Hike, swim, drink wine, lay in the sun (once the smoke goes away), read books, look at some art, watch live music, dance, get crazy pictures taken, attend a play, eat, attend that music festival. You get the idea. 4) Find new and exciting ways to do said things you love by clicking on the tabs on that site i sent you to in step 2. Also check this out. I found the one for Hornby and Denman at the ferry terminal on the way over very helpful. Do your research. 5) decide how much of you vacation you want to be active and how much of it you want to be lazy-plan your activities accordingly. Also, budget! 6) Make an itinerary. Use said itinerary. 7) Download checklist for hiking, wine tours, beach trips: whatever it is you are doing. Yes, you may be close to home, but you don’t want to ruin a good trip by having to turn around to go home and get something! Don’t do things you wouldn’t be able to do if you were outside the valley; it’s an adventure, remember. You can checkout some check lists here on my Pinterest page. 8) Get out there and have some fun! 9) Take photos of everything you do, obnoxiously so even, just like you would if you were out of The Valley, and post them to social media. Or even better blog about your stay-cation, add your photos and share it. Inspire friends and families to explore the valley, give outsiders and locals a like a fresh perspective on this place we call home. For those of you who read my blog from out side the Comox Valley, here are some tips on creating an epic stay-cation in your own little part of the world. 1) Make a plan and do your research. Hit up you’re local tourist info site and see if there are any hidden little gems you’ve been over looking. Don’t forget to look up museums and art galleries in your area. Pretend like you’ve never been to the place you live in before. 2) make sure you add those things you’ve always promised yourself you’d do, but never have gotten around to. Knit that dress, read that book, hike that trail, swim in that body of water. 3) set up a time frame and a budget, just like you would if you were leaving the country. And stick to it. 4) write out your itinerary and use it. 5) Go have an epic stay-cation! 6) and for goodness sakes, take lots of photos and post them to social media. We want to see and be inspired by your vacation. plus make your friends who are working jealous! If you’re interested in having a luxurious and relaxing beauty session during your epic Stay-cation this summer, please contact me in any of the ways below. I’d love to chat with you!